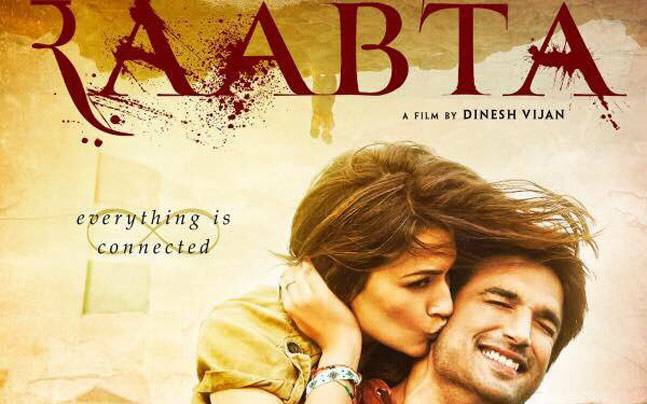 Sushant Singh Rajput and Kriti Sanon starrer Raabta hit the silver screens today. Directed by Dinesh Vijan and produced by Homi Adajania and Bushan Kumar, the film generated lot of media scrutiny prior to its release due to copyright issues with the South Indian blockbuster Magadheera producer Allu Arvind. Kamal R Khan took to Twitter and gave negative reviews. He even went on to bash Sushant Singh Rajput and said he would finally find himself in TV acting. It is to be noted here that Sushant has come into Bollywood after having acting in TV serials. My dear TV star Sushant Singh ur one wicket is down n 2 more will be down soon before u go back to do ur TV serials. Congratulations! Bad writing. Bad direction. Bad acting. Raabta is a film about two lovers passionately in love with each other and in the eventuality of their lovey-dovey timeline they realize that their bond has not just been there for some time but was actually forged hundreds of years ago in their previous lives. The film mainly revolves around the themes of afterlife and reincarnation. Earlier, Allu Arvind had accused the makers of Raabta of copying his film which was a huge box-office success in 2009 when it had released. Raabta won the case on Wednesday when Magadheera producer withdrew his case.